Home News The Most Important Win For The Modi Government – Christian James Michel Extradited To India! The Most Important Win For The Modi Government – Christian James Michel Extradited To India! 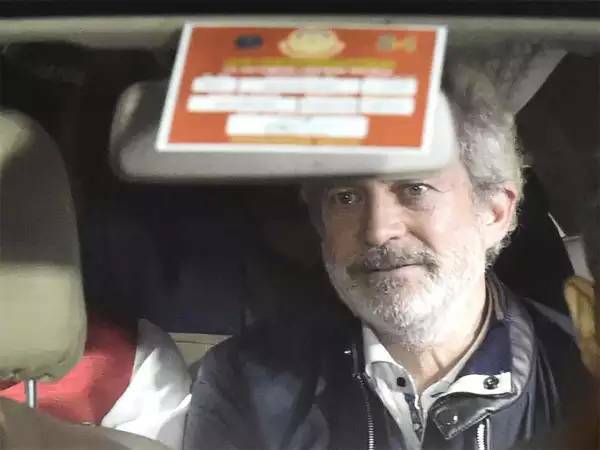 The alleged British middleman, Christian James Michel, wanted by investigative agencies in the ‘AgustaWestland VVIP choppers scam‘, was extradited to New Delhi from Dubai on Tuesday night. It’s the most important win for the Narendra Modi Government! The Congress-led UPA government had in 2010 signed a contract of Rs 3,600 crore to purchase 12 AgustaWestland AW101 helicopters in February 2010 for the Indian Air Force to carry the President of India, Prime Minister and other important state officials. However, technical specifications of the required choppers were tweaked and AgustaWestland’s parent company Finmeccanica paid kickbacks to win the contract. On 25 March 2013, India’s Defence Minister A.K. Antony confirmed corruption allegations by stating: “Yes, corruption has taken place in the helicopter deal and bribes have been taken. The CBI is pursuing the case very vigorously.” After that in January 2014, The Indian government cancelled the Rs 3,600 crore contract with AgustaWestland. Michel is one of the three main accused in the case, besides Guido Haschke and Carlo Gerosa. His extradition is the big win for the Modi Government as it can create a big political opportunity for BJP. On top of it, Michel’s alleged links with Congress first family can create a serious problem for Congress.